Science people. Conservation of mass and energy. 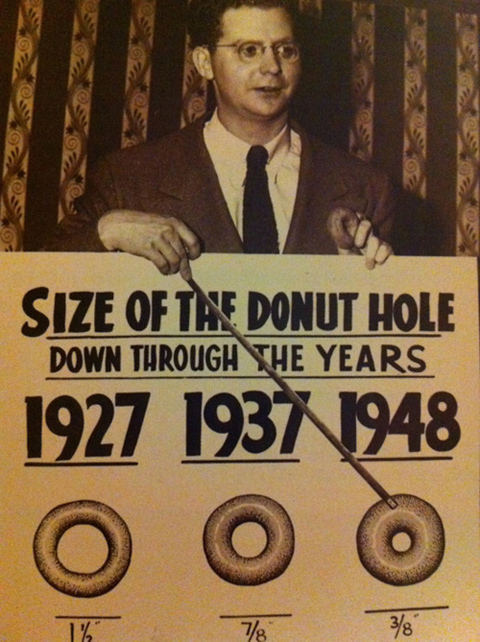 Did the doughnut hole get smaller or did “scientists” put the hole inside the doughnut ring ? Boring note: bakers probably learned more about making dough fluffy and look bigger. That’s why I believe that the hole is inside the ring.